Shades are sold separately to provide the most design flexibility for our customers. 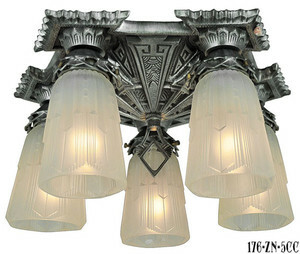 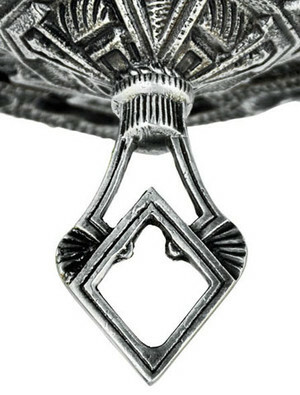 Period antique shades with 2¼" fitters would be a unique alternative to ornament this light. 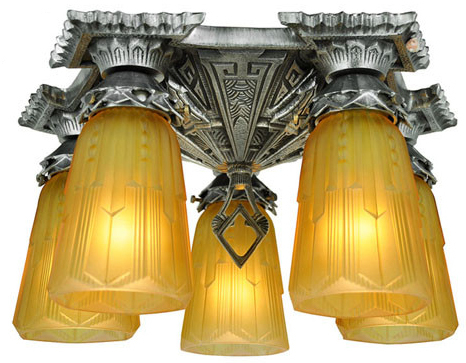 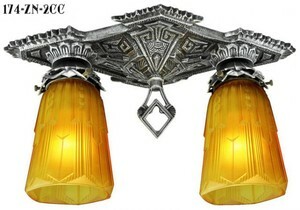 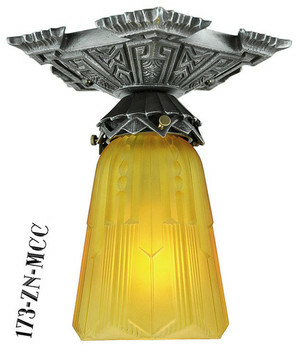 We have also included options above to purchase this light with a choice of frosted or amber color shades as pictured. 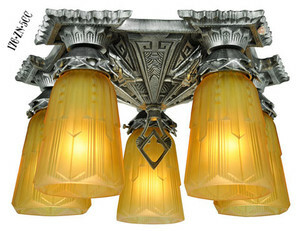 Other 2 ¼" fitter shade choices are also available. 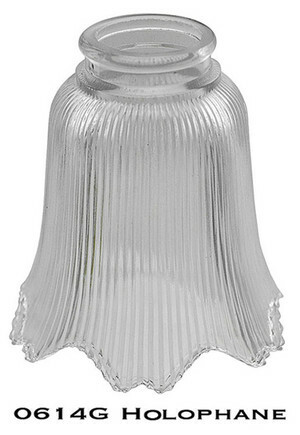 Height: a mere 8 ¼" with the pictured shades. 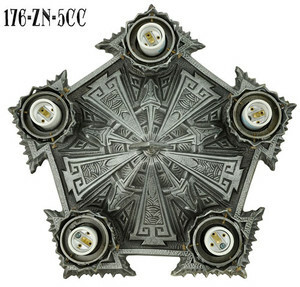 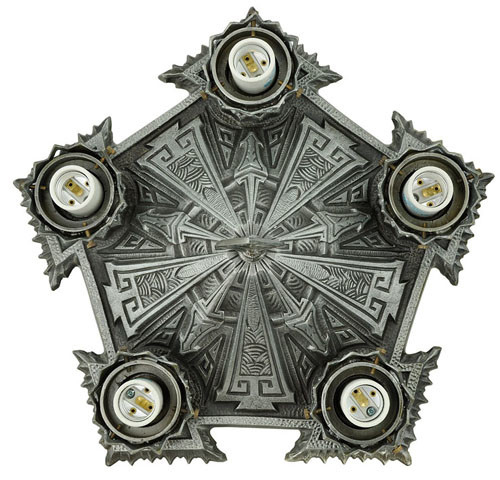 Pictured here also are several of the matching Chicago Series lights, including a double wall sconce, double close ceiling light, and single light close ceiling fixture. 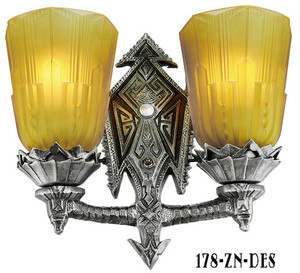 A single wall sconce completes the suite. 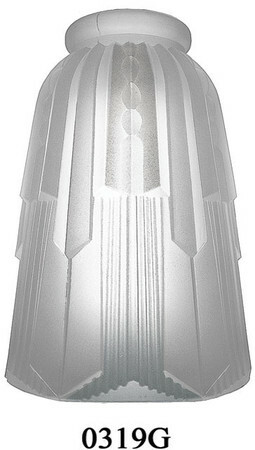 Each socket accepts up to a 100 watt bulb, or purchase our optional LED bulb to maximize your energy savings. 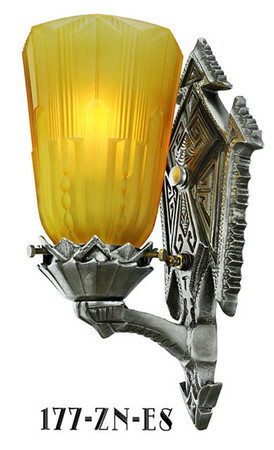 Makes running the light all night long, perhaps as a nite lite, very economical indeed and cool to the shades as well.